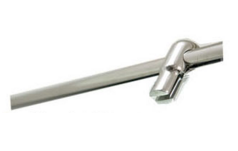 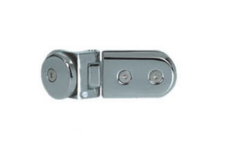 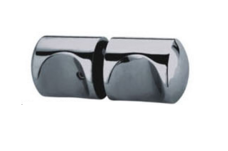 RB-180Z is a wall to wall shower series It is made of brass chromed with glossy polish. 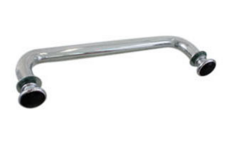 RB180Z consists . 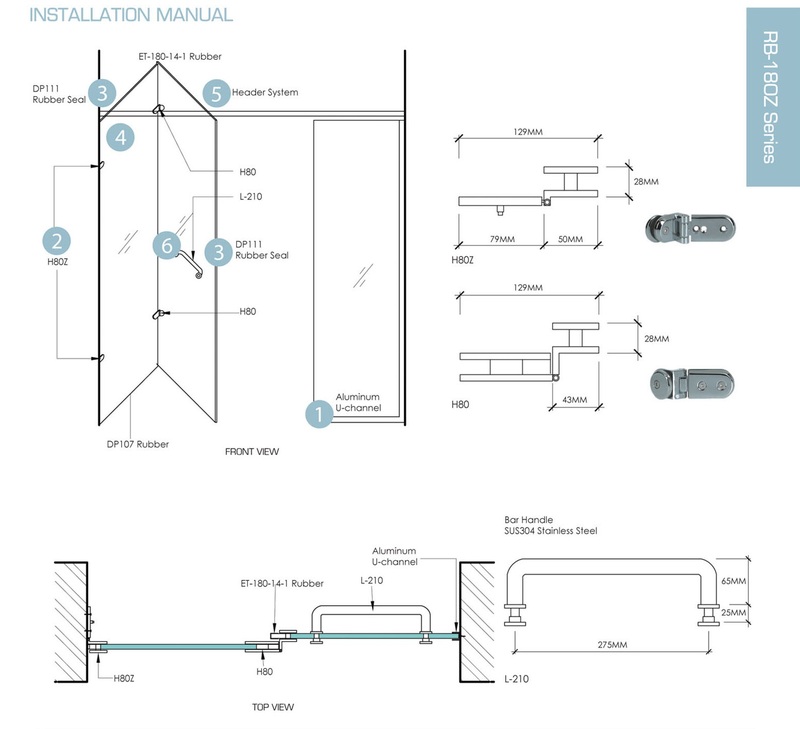 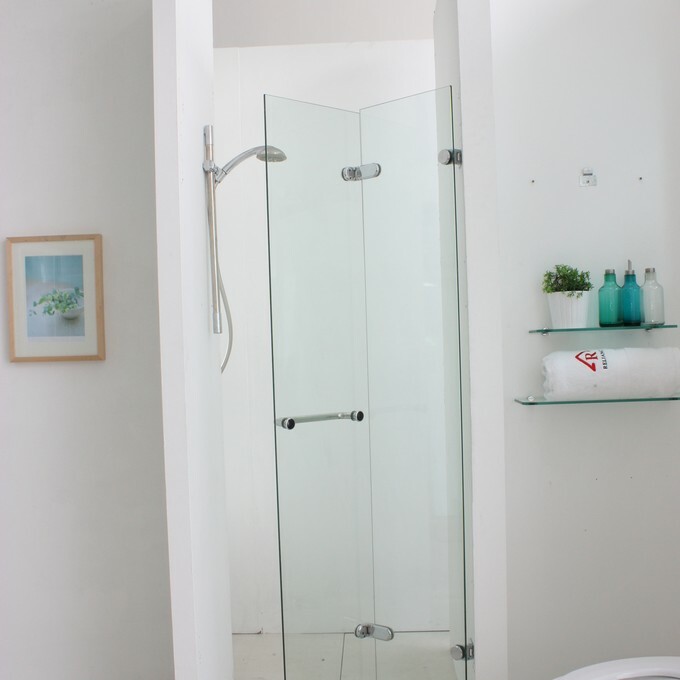 RB180Z allow two glass panels to be folded and opens up the shower area space up to 90%. 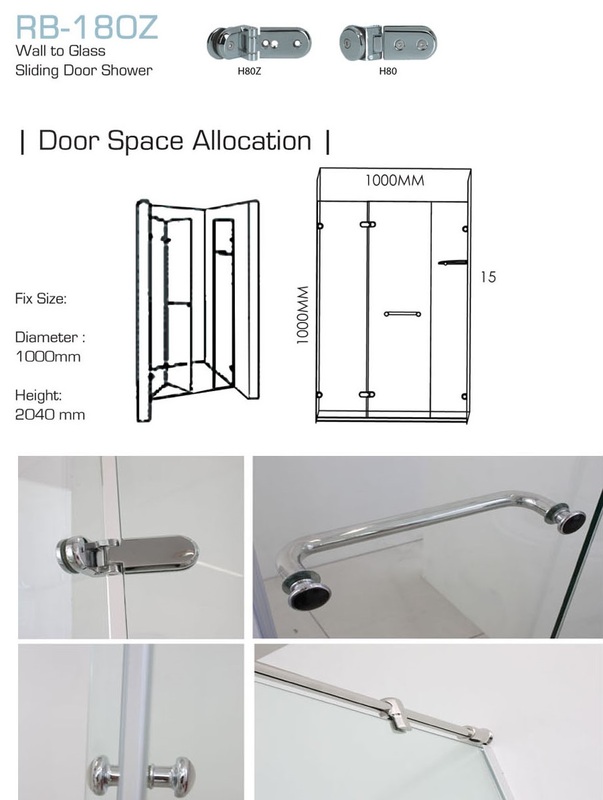 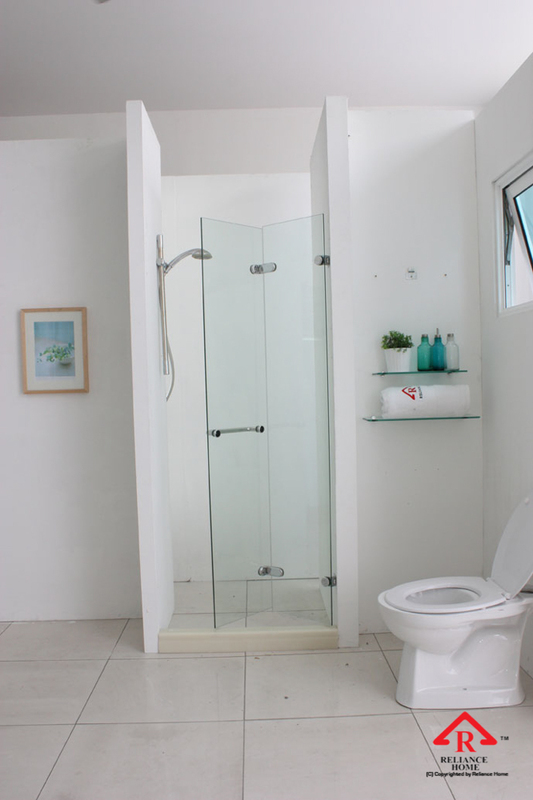 This model is specially designed for limited small shower area without consuming much opening space. 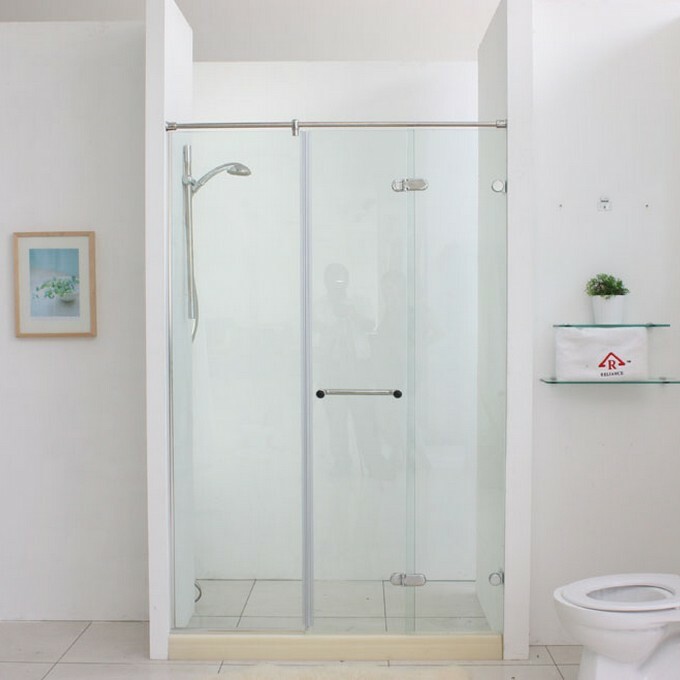 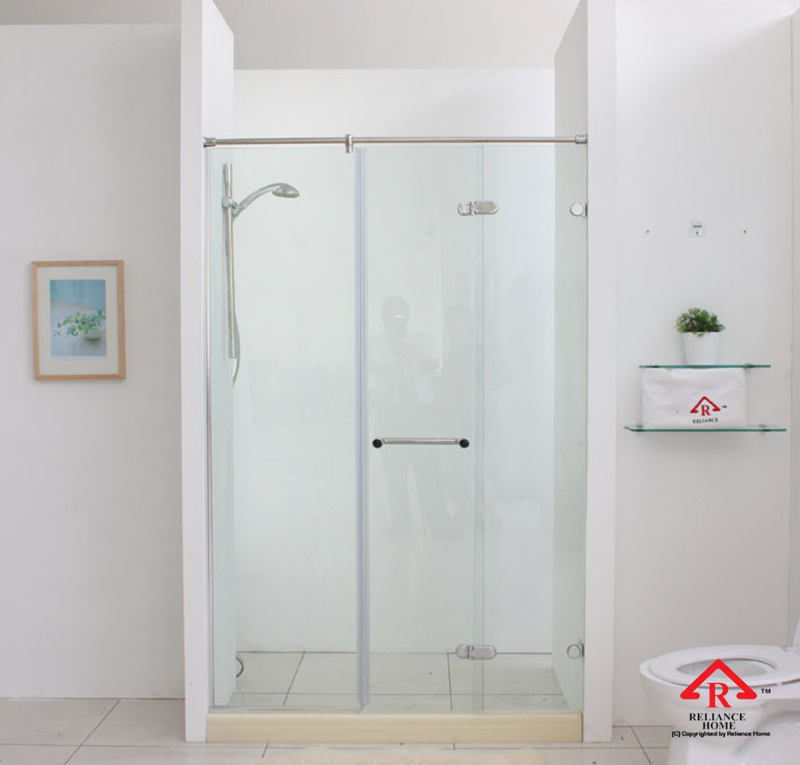 ​Reliance Home offers RB Series – Model RB180Z, is a breakthrough in Shower Screen industry by folding the panel of glass 360 degree. 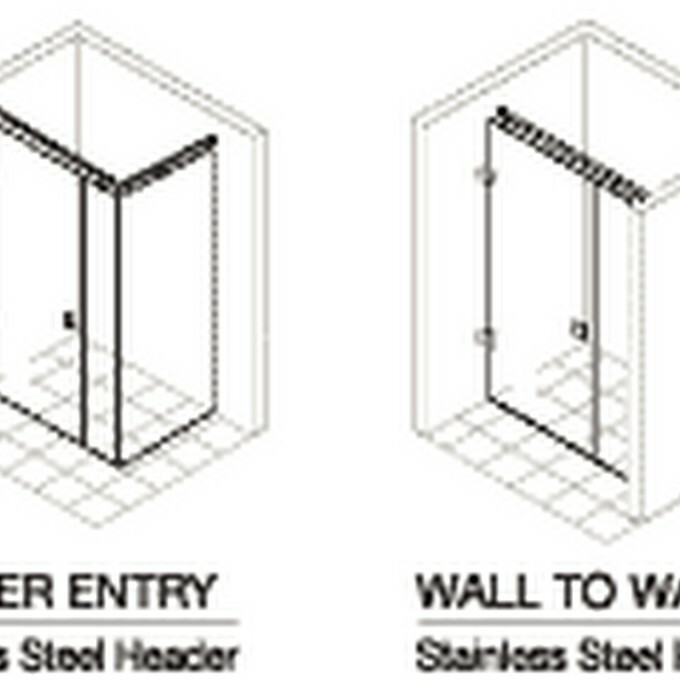 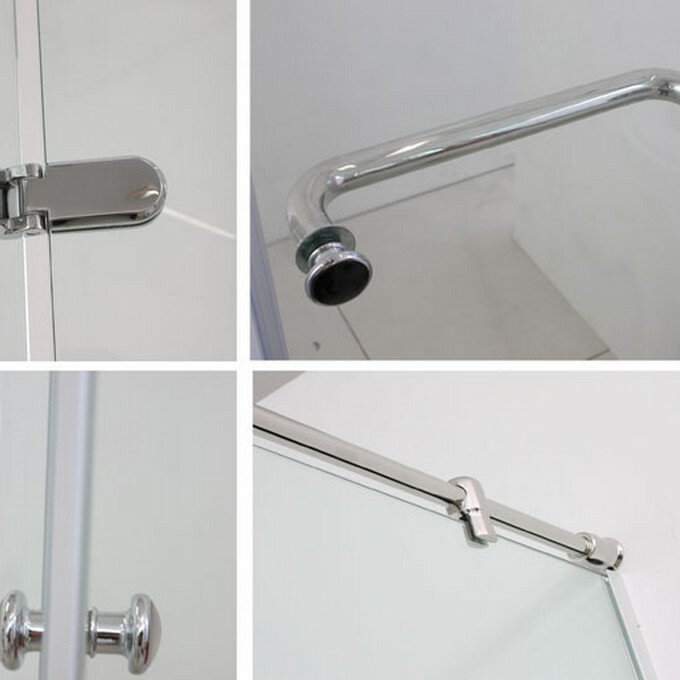 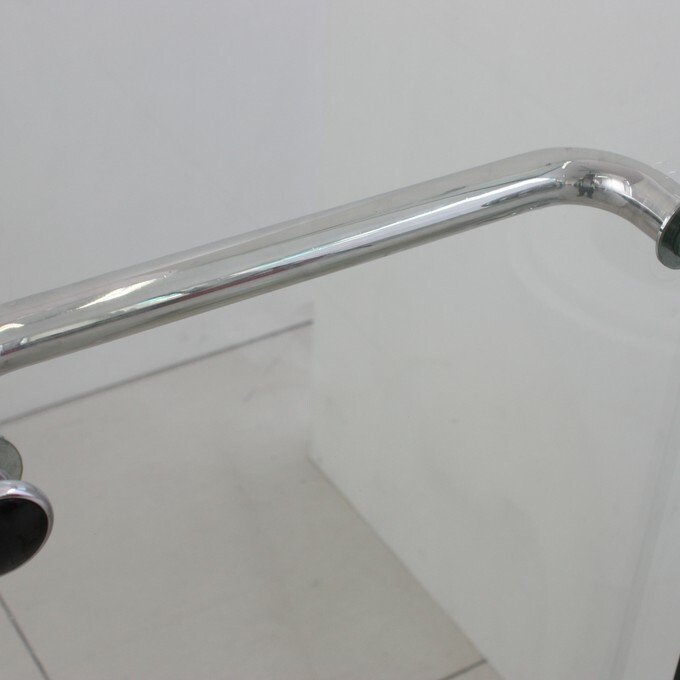 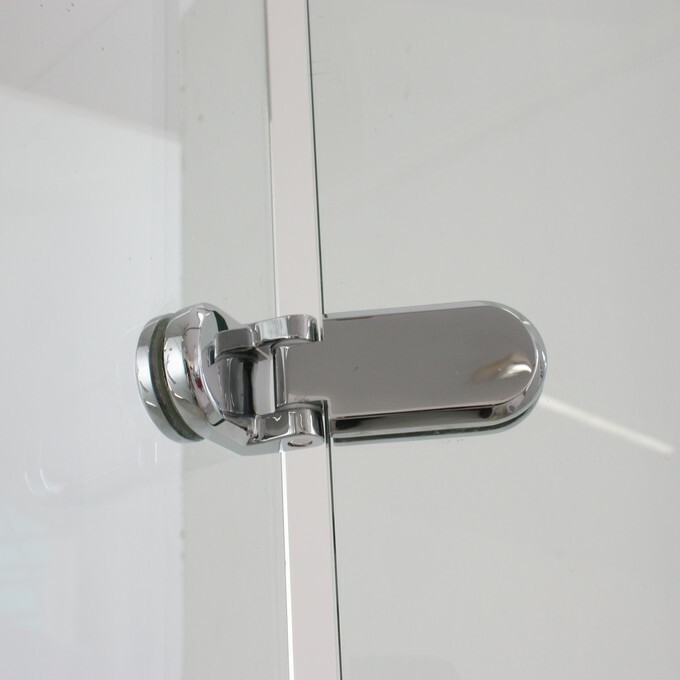 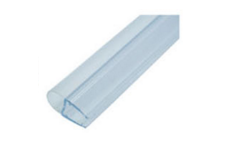 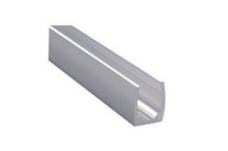 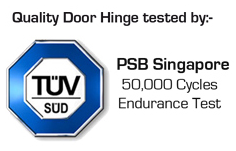 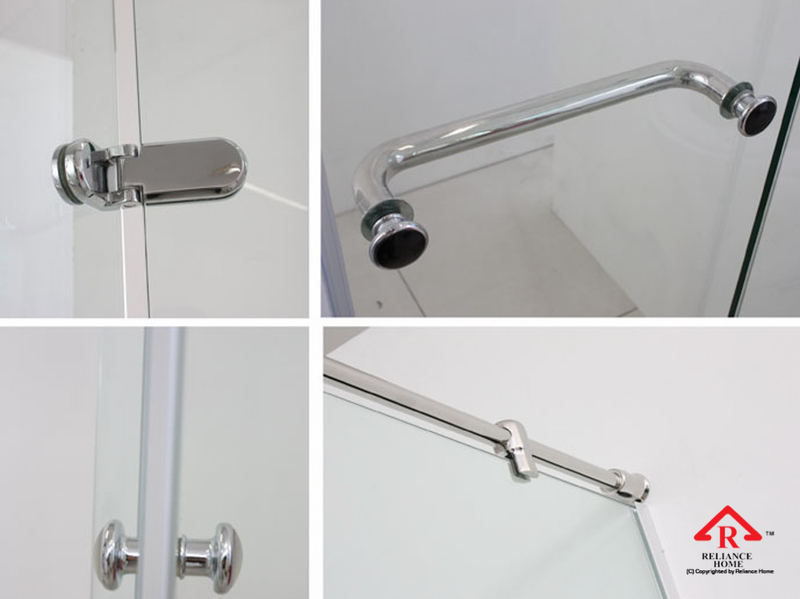 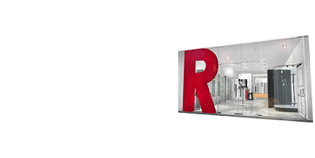 RB series is innovated to minimize the door opening wastage of space the smallest the possible. 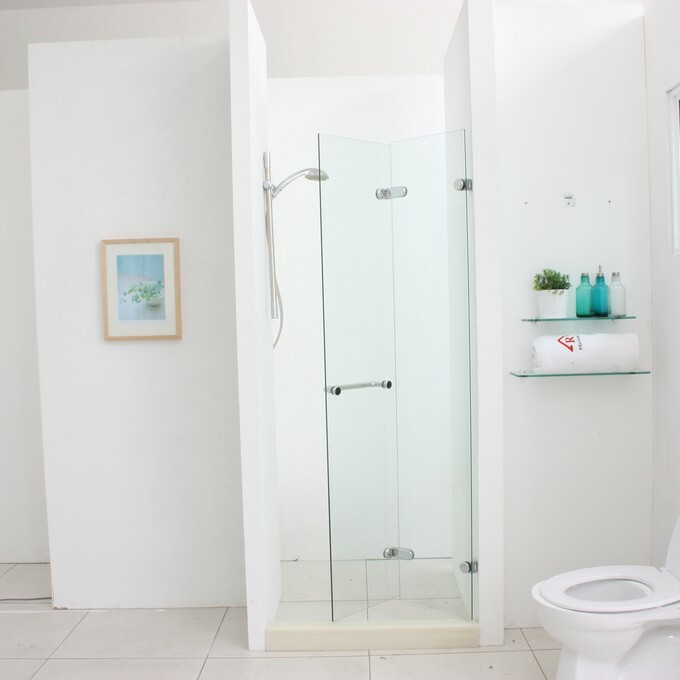 With RB Series Invention, small space is not a problem anymore. 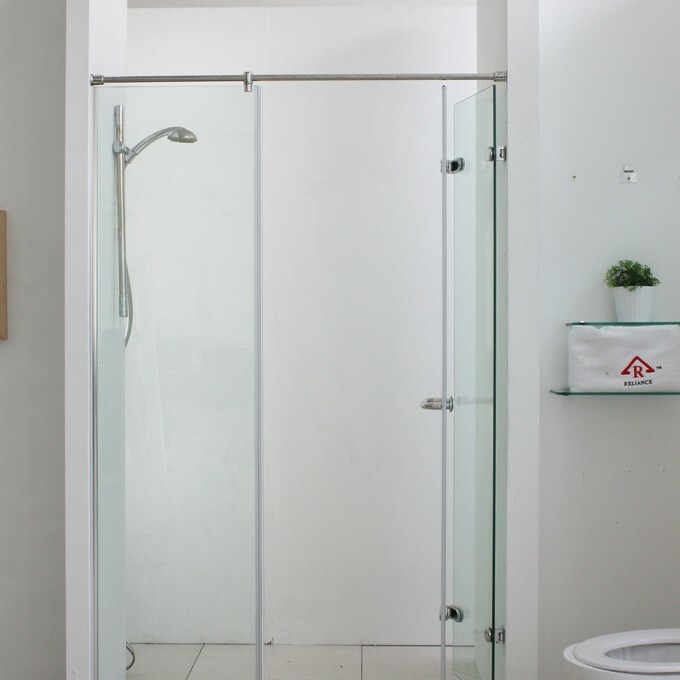 Shower Screen installed in the bathroom plays an important role, i.e., to keep dryness outside the shower and so are the sanitary wares, therefore more hygienic and less maintenance after a shower. 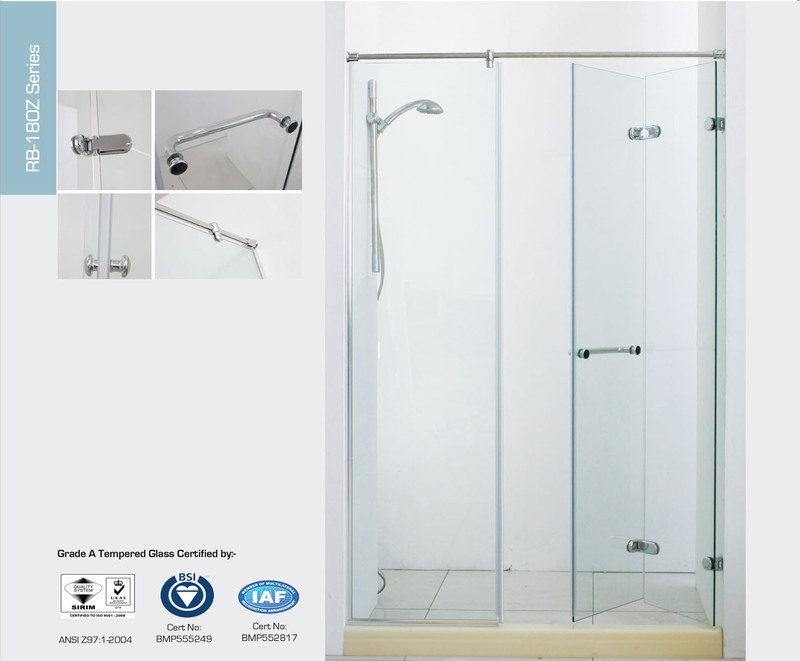 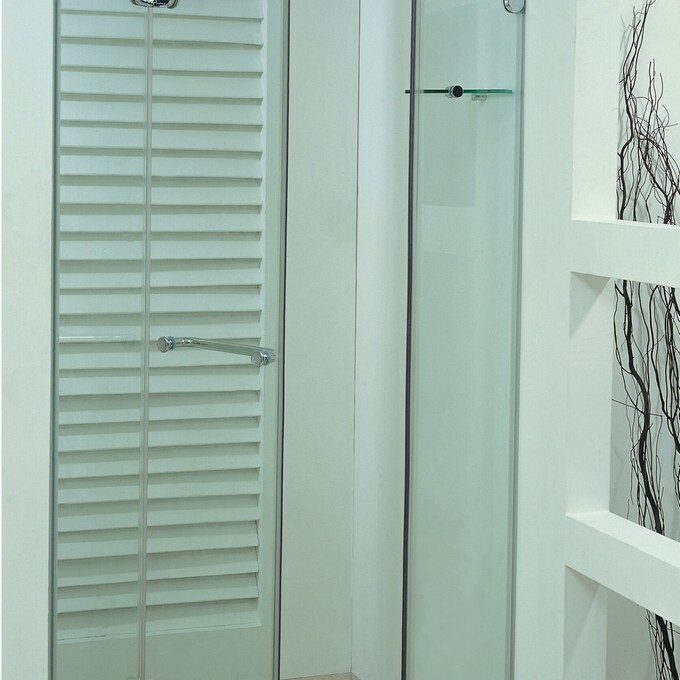 Apart from being functional, one must choose the right shower screen that is suitable and fit well into your bathroom. 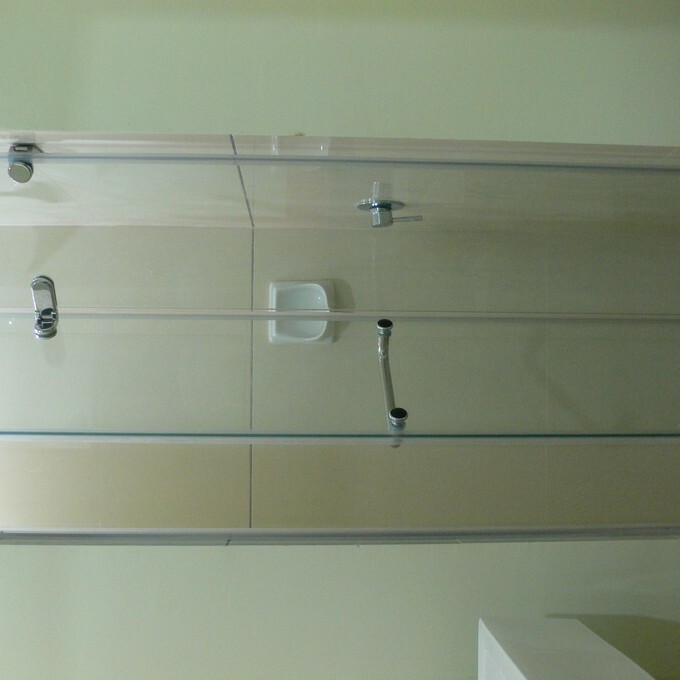 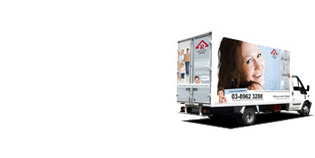 There are many types of designs or models available in the market to meet your requirement and style. 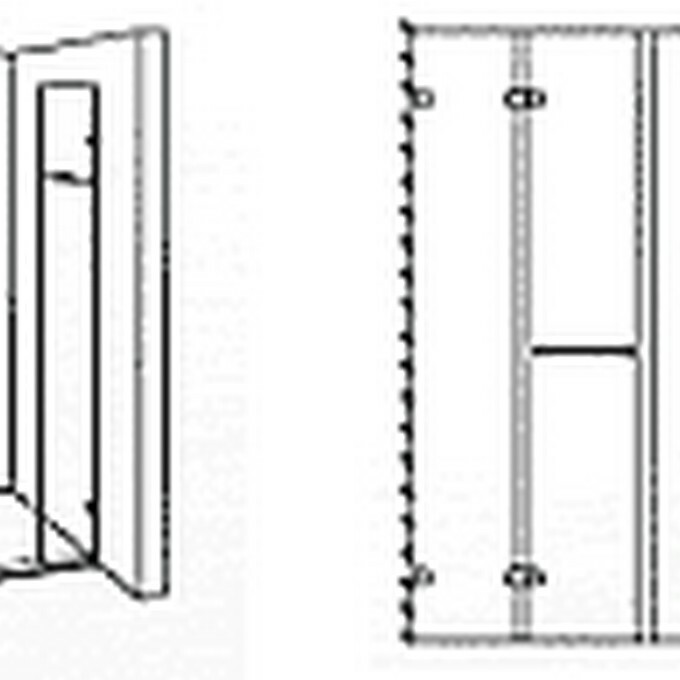 Generally, they come as wall-to-wall or straight type, L Shape or corner-enty type, pentagon or Diamond Shape and the curve shape. 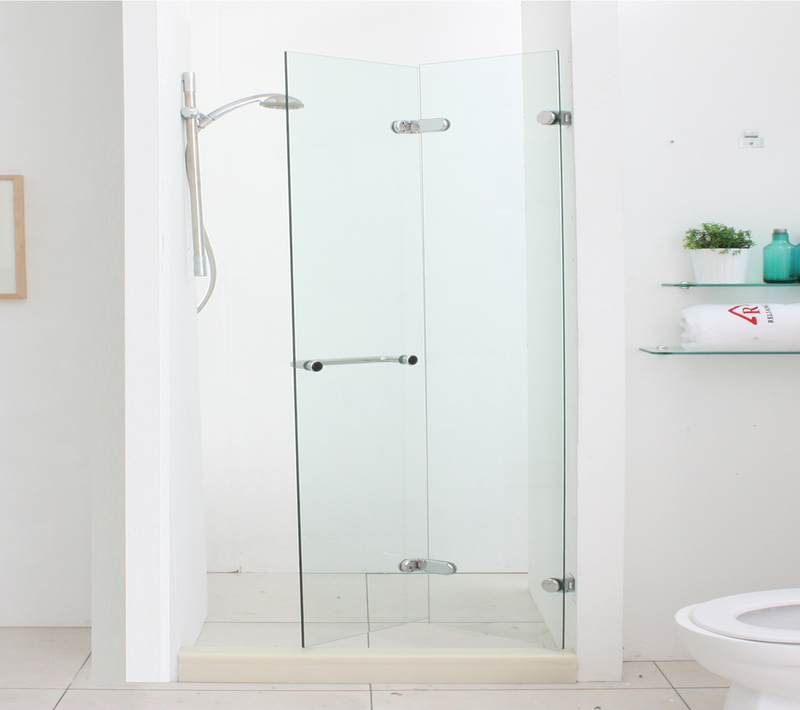 Should your bathroom has space limitation, one of the best choices is our wall-to-wall folding shower screen model RB180Z. 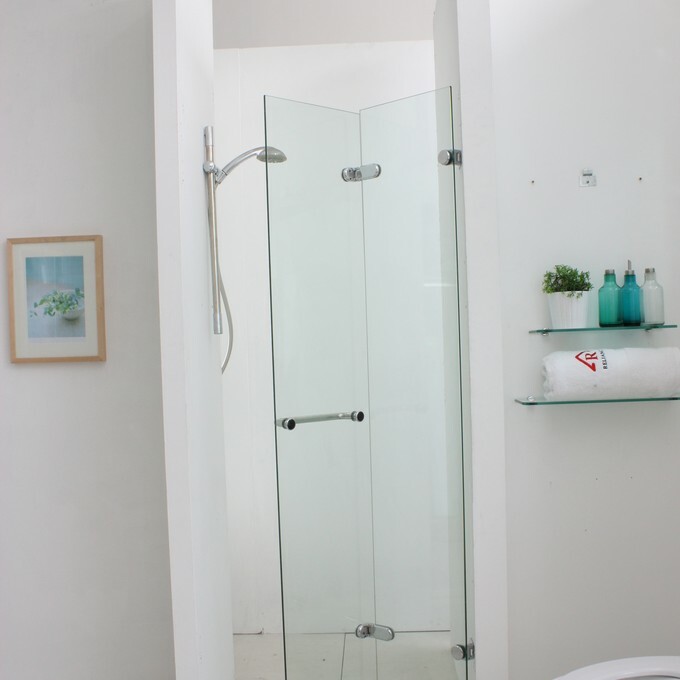 Our Model RB180Z comes as 2 smaller pieces flat glass panels folded to one side of the wall or with a fix panel on the other side of the wall, as per our photo gallery. 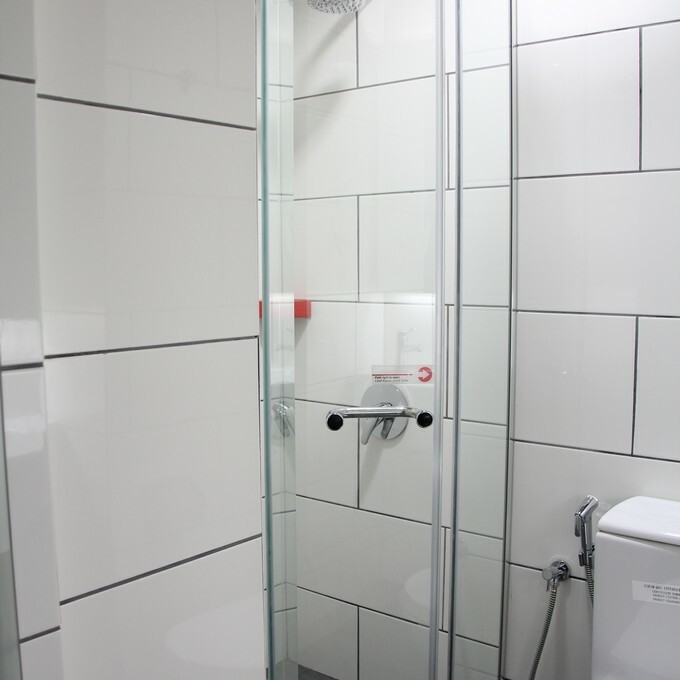 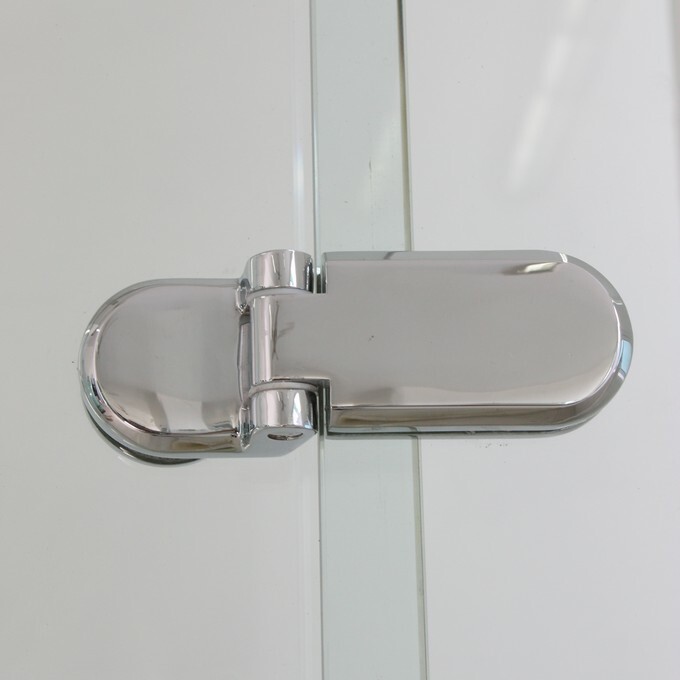 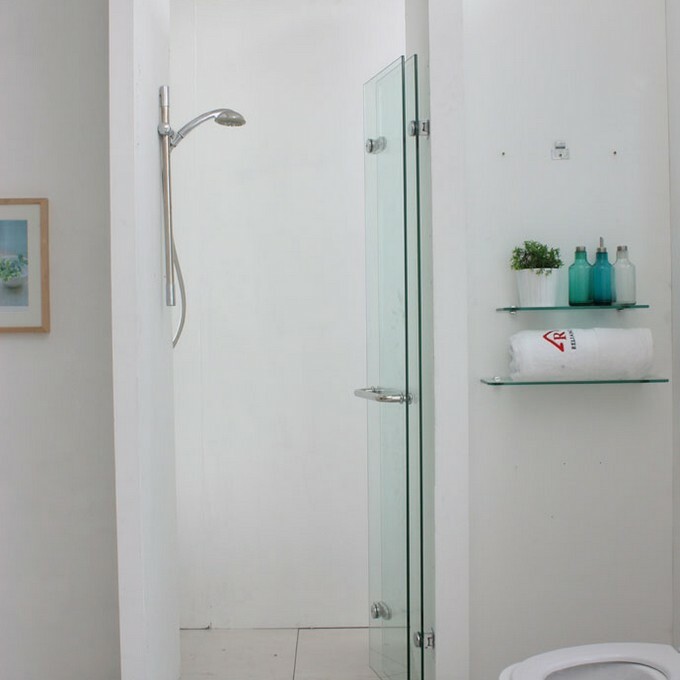 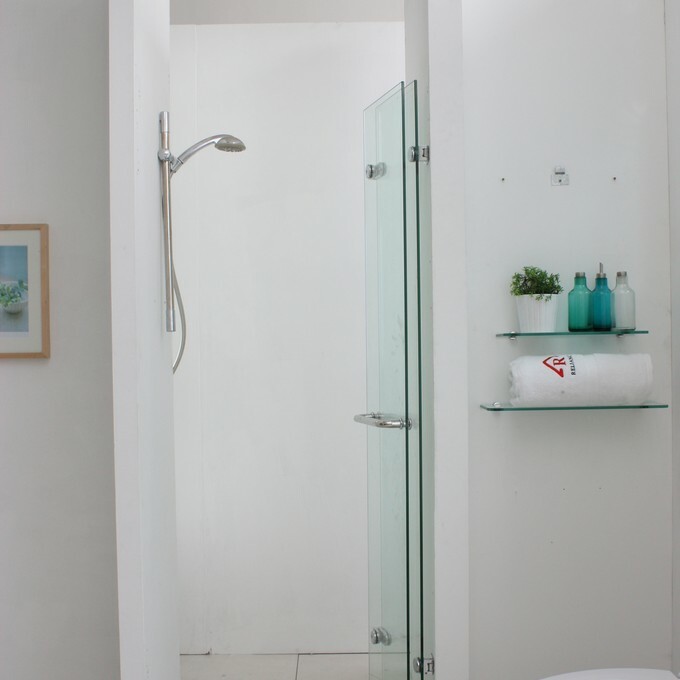 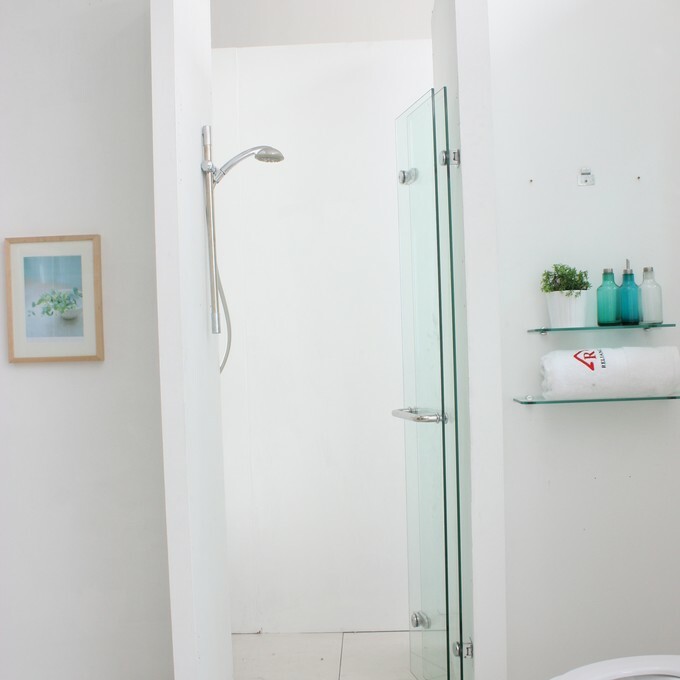 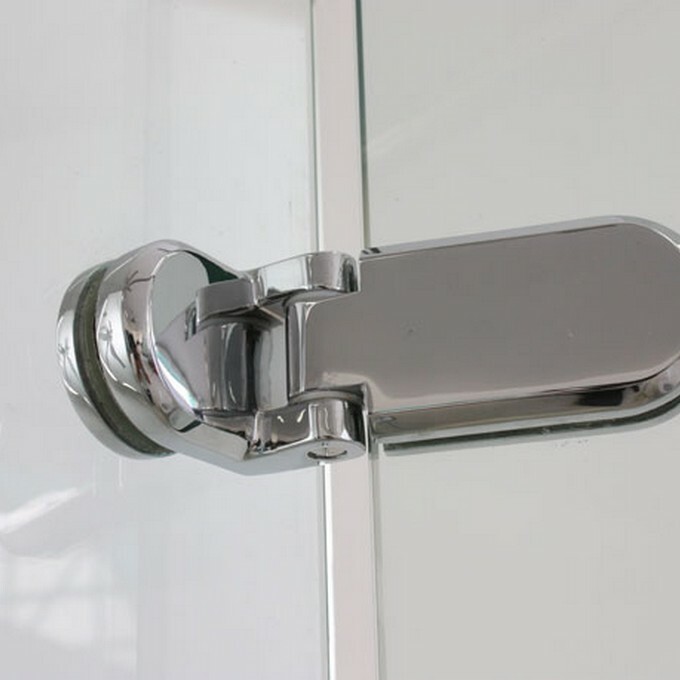 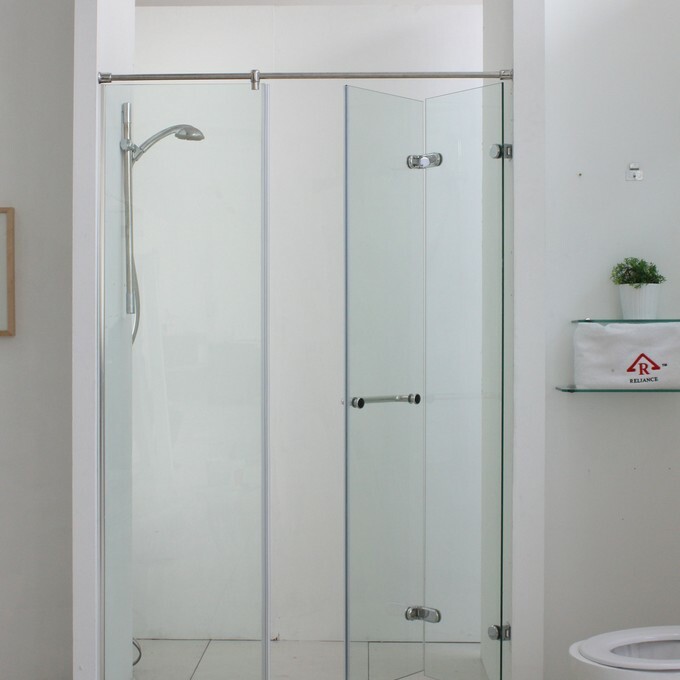 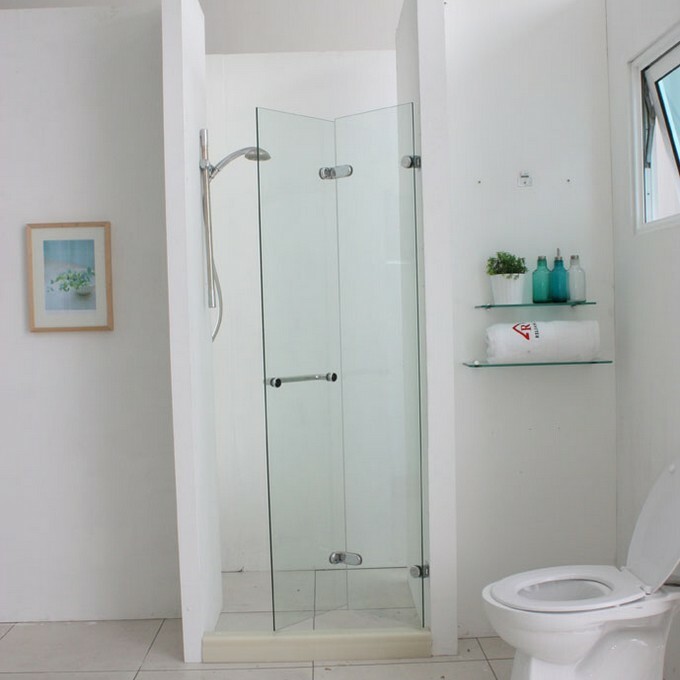 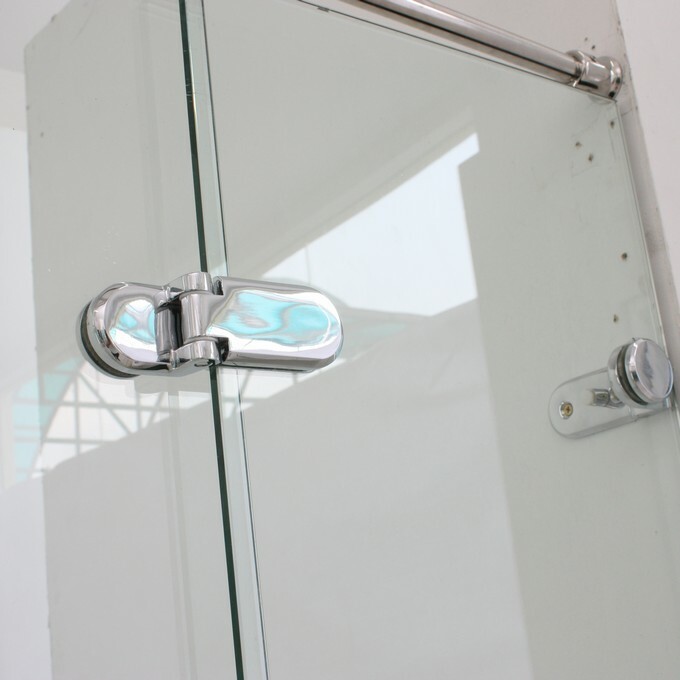 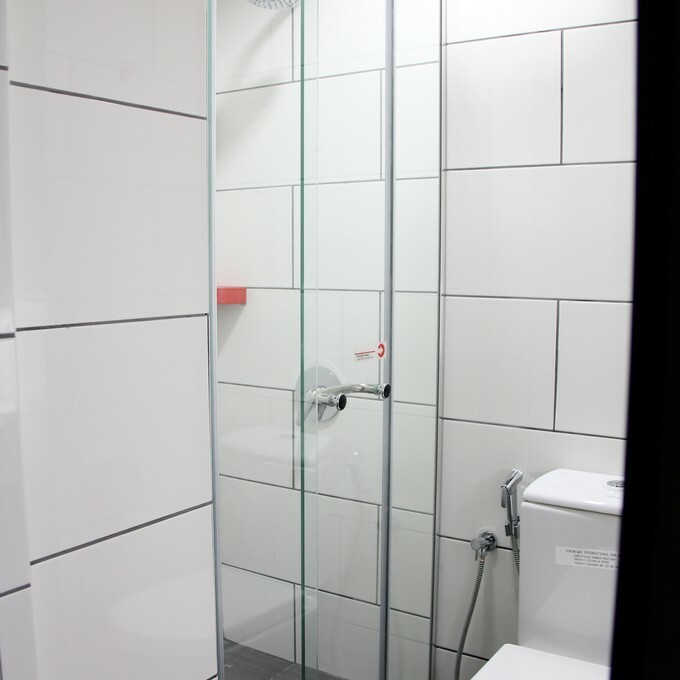 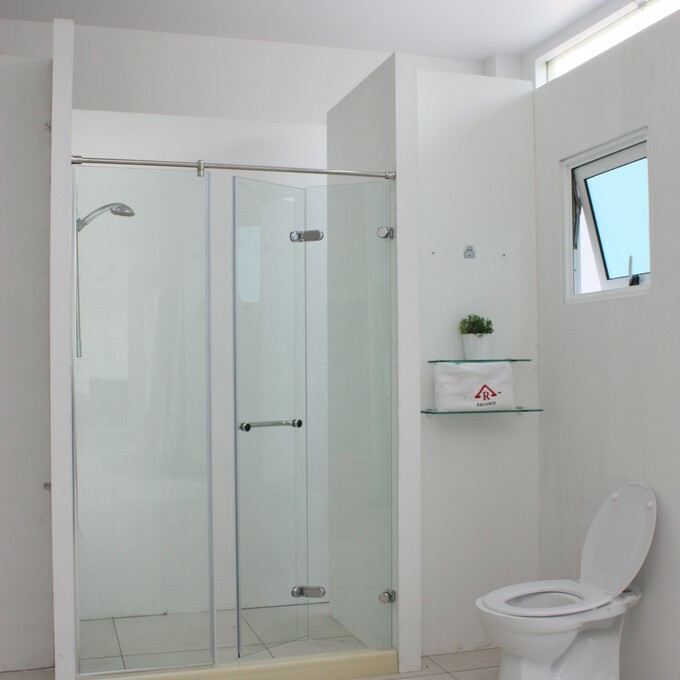 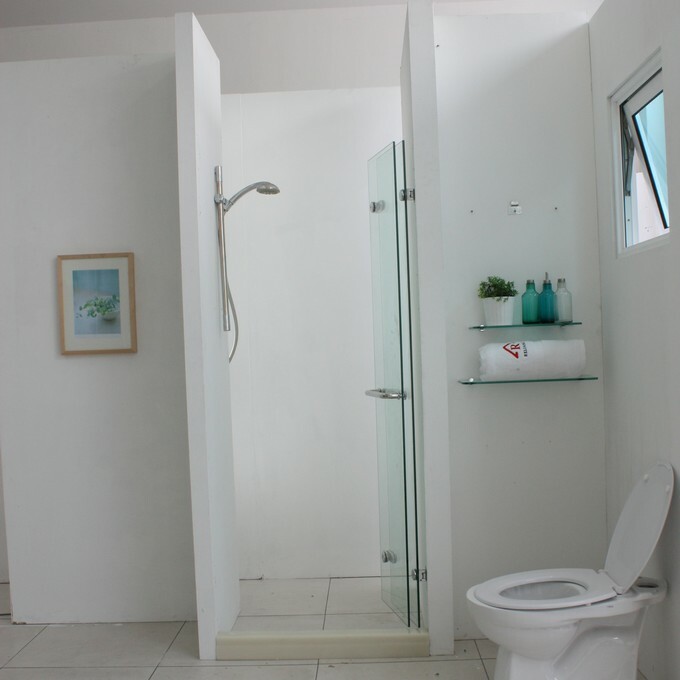 Therefore, there is no large door obstruction resulting more accessible space – in and out of the shower. 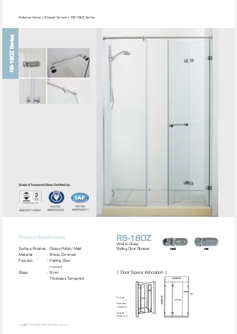 Besides all these, our RB180Z looks appealing and sleek, thus ultimately enhance the appearance of your bathroom to look simple, clean but yet exclusive.